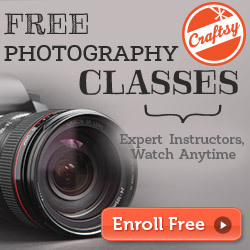 There is no doubt that Craftsy is the best place to learn something new that will make you a better artist and well-rounded person. I love that you can take very specific classes relating to your specific craft but also introductory classes to learn new skills. Here are my 10 Favorite Classes on Craftsy to help you learn new skills and brush up on your craft! 1. FREE! – 2014 Block of the Month Craftsy Color Theory – FREE!